I have been busy all weekend getting ready for a really exciting project that I am working on with House Beautiful Magazine on Tuesday. I will let you guys know as soon as I can share details, but lets just say its Christmas in July around here…. We also did a ton of gardening this weekend. I feel like a year of neglect has completely caught up with us in the garden. Overgrown is like a really big understatement. And I still can’t shake the feeling that I have spiders crawling on me. But my tomato plants still sit green with tiny little green tomatoes on them. I am a month away from having any luck in that department- but happily the tomatoes are starting to creep into the farmers markets and if all else fails you can find beautiful heirlooms at the grocery store or even the ever amazing Trader Joes! I couldn’t be more obsessed with heirloom tomatoes right now. The colors, the patterns inside of them and the sweet, sweet flavor. To me, they are like Summer in a bite! And because I can’t help it, my very favorite way to eat tomatoes no matter what is on a pizza. I made this for Pete and I for lunch and it was kind of outrageously delicious! I can’t help but think that the fresh tomatoes, gooey mozzarella cheese and basil are only made better by the fact that I basically made a rainbow pizza. And who doesn’t like a rainbow, especially when it is served up on a crispy chewy crust? The next time I have friends over, I am wheeling this baby out! It is the most simple of dishes, but a complete showstopper! Preheat the oven to 400 degrees. Drizzle the sheet pan with a little olive oil. 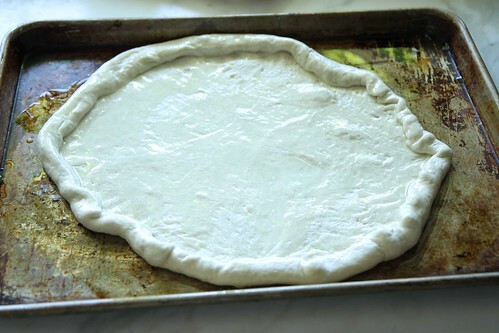 Roll out the pizza crust until thin, and fold over the crust. 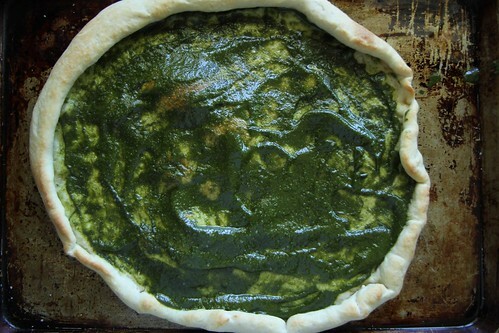 Drizzle with a little more olive oil and bake the crust for 12 minutes. 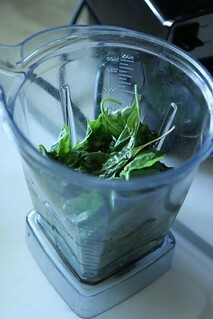 While the crust is baking combine the basil and the ¼ cup olive oil in the blender and puree until smooth. 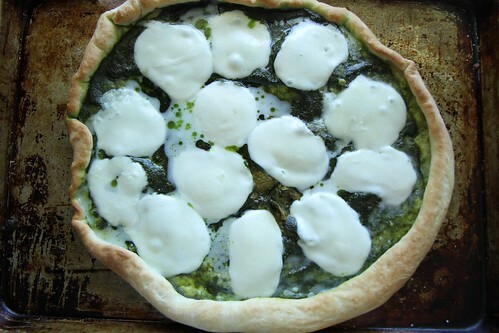 Spread ½ cup of the basil oil puree over the crust. Bake the pizza for another 12 minutes until the crust is golden and the mozzarella is melted. Meanwhile, thinly slice the heirloom tomatoes. 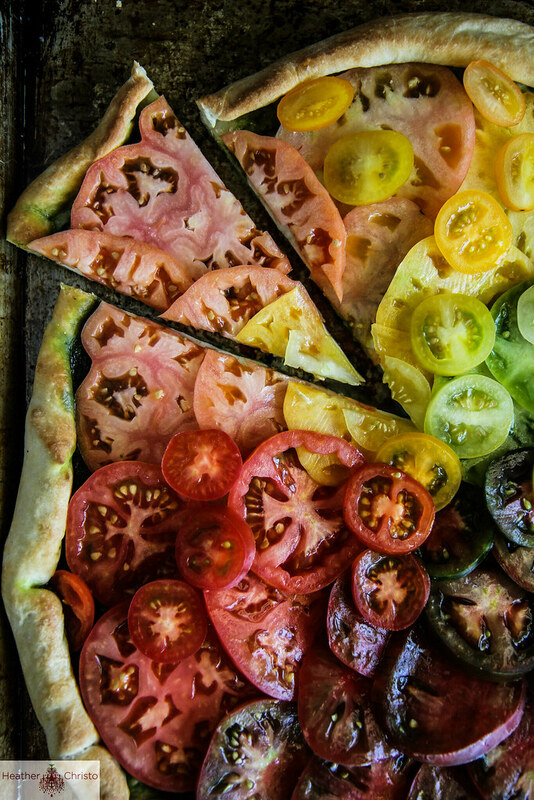 Evenly spread the heirloom tomatoes over the top of the hot pizza and sprinkle the tomatoes with kosher salt. Serve immediately. Why doesn’t my pizza crust ever look this good? Kristi- I just used a trader joes crust. I find that a trick with any store bought crust is to let it come all the way up to room temperature before you start rolling it out. I also use the technique of baking the crust most of the way before I put any toppings on it so it doesn’t get soggy. Yummmm, I love this! It is perfect summer food, a rainbow caprese! Love this! Those tomatoes look so good. Heirloom tomatoes are my favorite! That is just beautiful Heather! this is seriously one of the coolest things ever!! i love the rainbow tomatoes!! That’s a stunner, Heather! I love all the color! 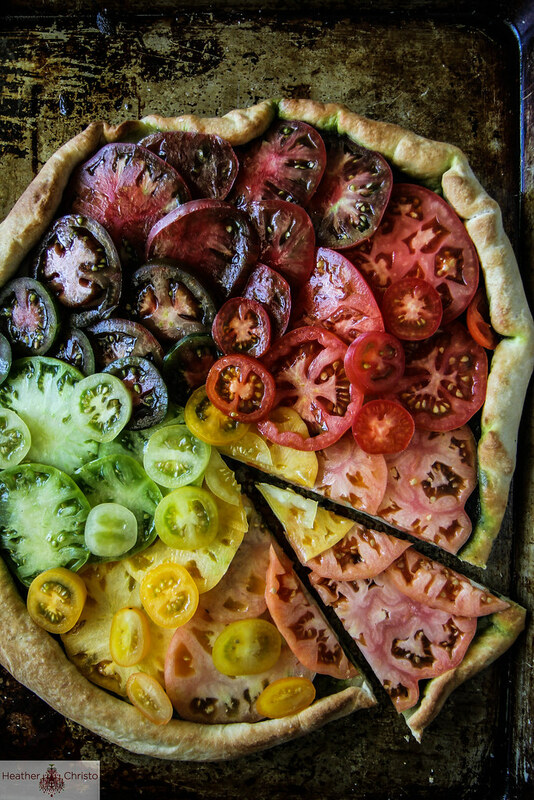 Love the idea of a basil and mozzarella pizza topped with fresh tomatoes and just look at the gorgeous rainbow of colours! Just beautiful! I adore tomatoes and tomato season. Can’t eat them fast enough! Gorgeous tomatoes! Love this pizza! 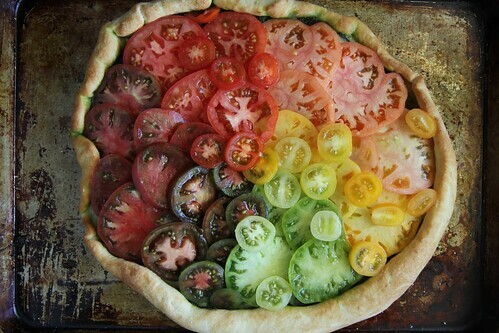 So pretty, love that rainbow of tomatoes! 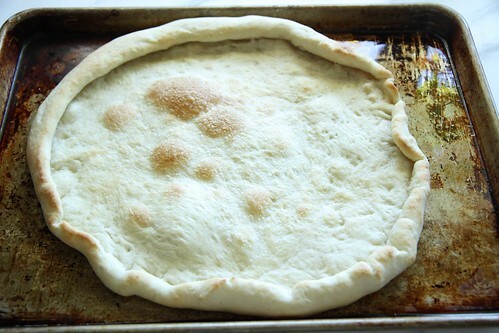 Simply beautiful, looks like a perfect summertime pizza! I’m coming over! This is just gorgeous, Heather. This is such a good idea and so very beautiful! I bet it tastes delicious. gorgeous! I bet I’m not the first to say I wish I had thought of this! 🙂 Just lovely, and what a fun centerpiece for a casual weekend supper for friends. LOVE! I mean this is the most gorgeous pizza I’ve ever seen in my entire life! Gorgeous! You make the most fascinating seasonal things. Do you have Candy Cot apricots in Seattle yet? They are out of this world. Oh Heather! This pizza is BREATH taking!!! Once again, Heather, you have created a recipe that is as visually stunning as it is delicious! I agree with one of the other posters above, you should coin the phrase “rainbow caprese”! This pizza is beautiful! Love that color on top.. 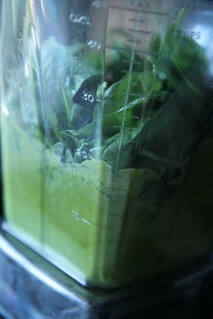 I couldn’t get the basil leaves to chop in the blender with only1/4 c oil? So I added some juicy roasted vegetables and that did the trick. 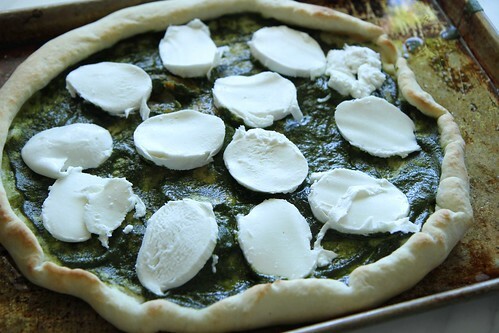 I also used regular mozzarella not fresh. The crust was a little hard. 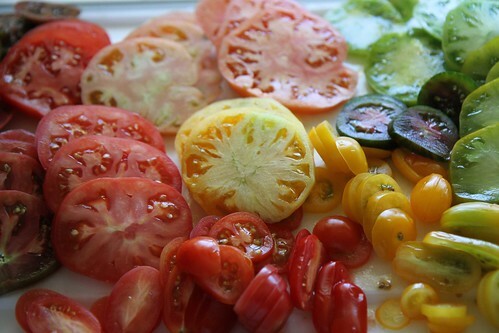 Looks gorgeous – the only problem being I dislike raw tomatoes – the heirloom ones do have a better taste, though. I’d certainly eat this! This is gorgeous (just like you!) I need to make this for company! Pingback: Super Saturday: Summer Vacation Edition | I'll Have Seconds! Bravo! This is just brilliant and beautiful! This is a work of art! It’s too pretty to eat!! Great images! Thank you for your hard work. Pinned!! I have to tell you that I finally tried your method of baking the crust for a while before topping it, and then baking it again. It was an amazing difference from what I had been doing (just baking it with all the toppings on and getting sometimes a mushy middle). Thank you! I have the pizza in the oven now on gluten free crust. It looks great. I added onion powder, oregano and salt on top. Can’t wait to try. hope you love it Jennifer!! Thanks so much for posting this. My husband made this for us and we are in LOVE with it!!!! Beautiful and delicious! Pingback: BON ÉTÉ! LINKS TO MAKE YOU SMILE (part deux)!! Pingback: 24 Rainbow Food Ideas That Will Make You Smile | Hey Grubbi! Absolutely gorgeous! 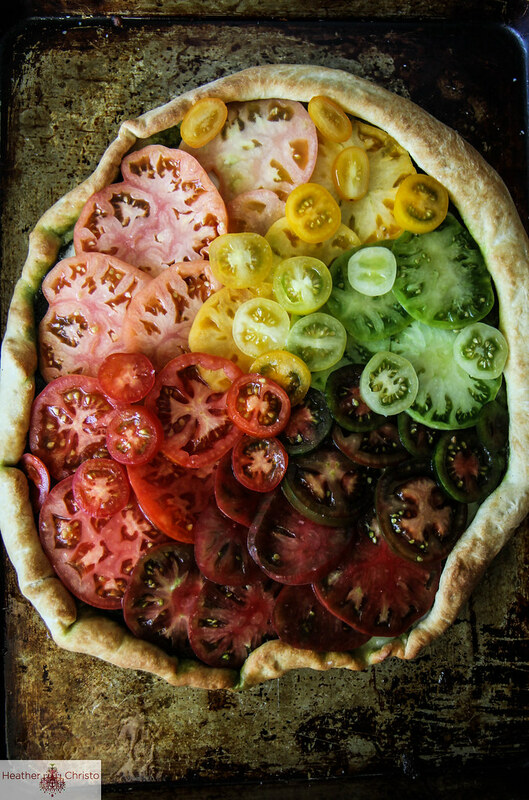 I can’t wait to pick up some local tomatoes and make this! Those tomatoes are beyond stunning! TJs has a gf pizza dough? In freezer section? This is a serious work of art! This is pretty to look at and pretty tasty to eat I’m sure. This is going on my pizza menu list for sure. I love the colorful pizza. It looks so fresh and yummy. It seems like you had a great harvest.